is the constellation's other galactic charm. 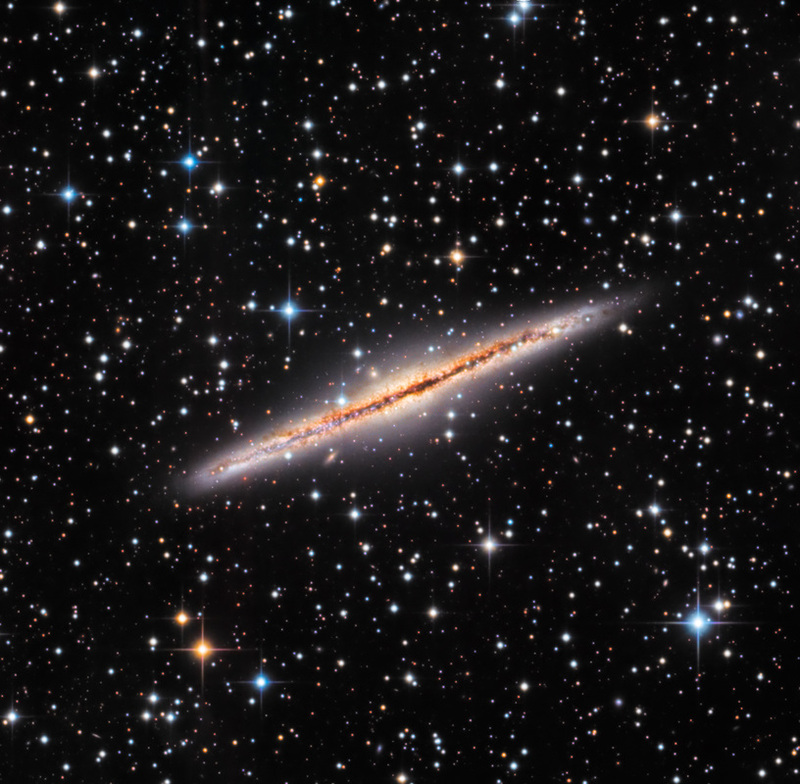 Discovered by William Herschel in 1784, it is believed that NGC 891 looks remarkably similar to how our own Milky Way galaxy would appear to an Andromedan. There overall size and luminosity are thought to be very similar as well. Seen perfectly edge-on, its length is some 100,000 light-years. From 300,000,000 ly distance, we can clearly see the dust filaments from it's dark central lane, the result of star formation. This galaxy is a member of the NGC 1023 Group, part of the Local Supercluster. Thanks to my friend and imager extraordinaire Bill Snyder for allowing me to process the data.